​The Arizona Diamondbacks are reportedly set to enter a rebuild prior to the 2019 season. According to Bob Nightengale, MLB columnist for the USA Today, the D-Backs are expected to "strip down" the entire team. That includes All-Star starting pitcher Zach Greinke and All-Star first baseman Paul Goldschmidt. 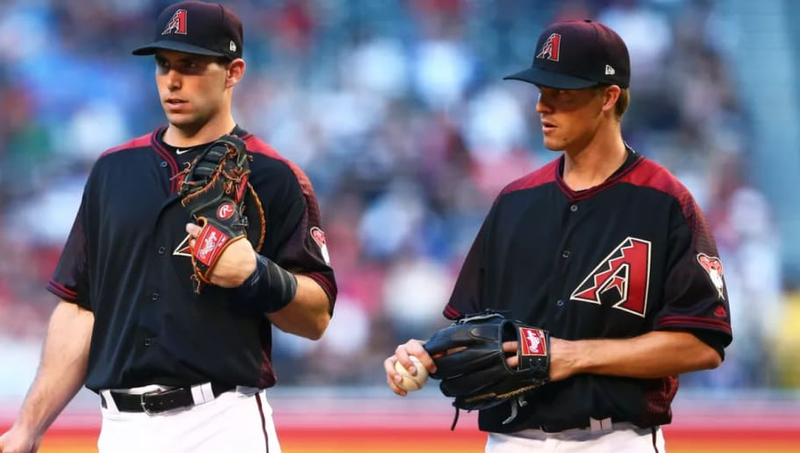 The Arizona #Dbacks could be the most popular team this winter among GMs with the Dbacks expect to strip down the team and rebuild, with virtually everyone on the trade block. They'd love to move Zack Greinke, and will even listen on franchise icon Paull Goldschmidt. ​​This comes as a surprise from a franchise which finished the year at 82-80 and were, for a large portion of the season, in the playoff hunt. ​Greinke is under contract through the 2021 season while there is a club option for ​Goldschmidt for 2019 before he becomes an unrestricted free agent in 2020. BUT, Greinke is owed more than $31 million a year over the next three seasons, and if the Diamondbacks were to find a taker – even if it meant paying down some of his contract – they potentially could bring back young talent in a trade and free up cash to be spent strategically in free agency. Don't tell me there won't be ​MLB teams in the market for players like Greinke and Goldschmidt (Rockies, Yankees, Dodgers, Cubs, Cardinals to name a few). Arizona should be able to swap their two All-Stars for prospects and jump start this imminent rebuild.